Cyril White was born on 25th October 1920 in Thame, Oxon. His parents were Frederick and Hilda White (nee Bayliss) of 7 Tythrop Terrace, Thame. His father later went on to run the Abingdon Arms pub. 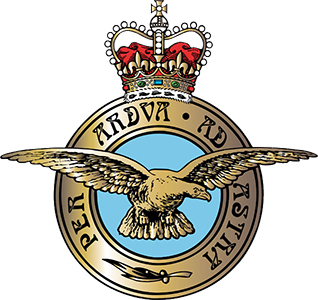 Cyril enlisted in the Royal Air Force Volunteer Reserve (1312741) in July 1942 and had completed his training as a Wireless Operator/Air Gunner by October that year. He was at the Operational Training Unit at Finningley from December ‘42 to February 1943 before a posting to 199 Sqn at RAF Ingham. His first operational sortie, in a Wellington, was on 4th March 1943 and his last bombing mission to Essen was on 13th March 1943. The aircraft Wellington Mk X, L495 never returned and the crew were presumed lost over the North Sea. 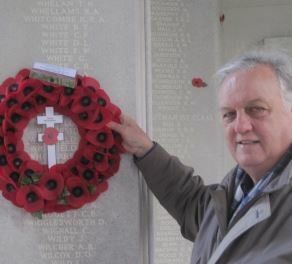 He is commemorated on the Air Forces Memorial at Runnymede, Berkshire and is remembered in Thame on Thame War Memorial and on St Mary’s Church Memorial Board.